A Latvian myth states that their national flag was created when a 13th century chief was wounded in battle and wrapped in a white sheet. Blood from his injuries made the two dark red stripes on either side of the sheet, while the middle remained clean. Another interpretation states that the flag depicts Latvians willingness to fight and lose blood for freedom and liberty. The Latvian flag is sometimes mistaken for Austria’s pennant, despite the difference in red hues. In its entire history, Latvia has only enjoyed independence for a total of 44 years, over two stints (1920-40 and 1990-present). The country has been ruled and occupied by the Germans, Swedes, Russians, Nazis, and Soviets, to name a few. Their most recent run of autonomy began with the fall of communism. In 2004, Latvia achieved two of its greatest accomplishments as a sovereign nation, being accepted into the North Atlantic Treaty Organization (NATO) and the European Union (EU). Latvians technically celebrate two independence days. The first, Proclamation of the Republic of Latvia, occurs every November 18th, while the second, on May 4th, is known as Restoration of Independence Day. That means double holidays! I’d be all for the Canadian government letting other nations take over for the day, if it meant a few extra days off each year! One of Latvia’s greatest contributions to the world is something most of you might be wearing as you read this article: jeans. 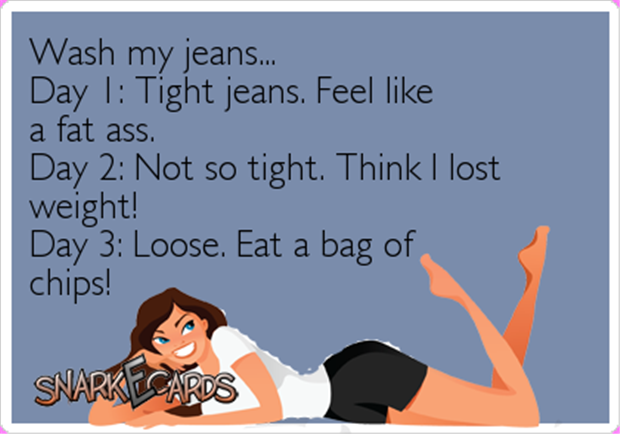 Latvian immigrant Jacob Youphes (known as Jacob Davis after moving to North America) created the first pair of denim workpants with his soon-t-be patented rivet, holding together Levi Strauss’ denim. The two went into business together and revolutionized the fashion industry. The orange stitching that appears on jeans is also the work of Davis. Hockey is the most popular sport in Latvia. Helmuts Balderis was the first Latvian to play in the NHL, when he was drafted by the Minnesota North Stars in 1989. Because this was the first year Soviet players were allowed to be drafted, Balderis earned the distinction of being the oldest player to ever be selected at age 36 and when he scored his first NHL goal, became the oldest player to score his first goal, at the age of 37. 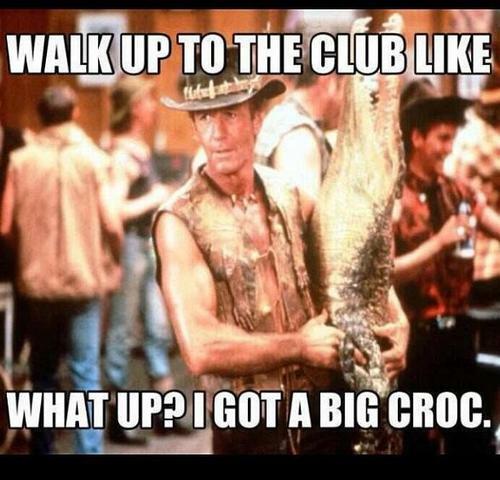 It blew the Sip Advisor’s mind to learn that the character of Crocodile Dundee was actually inspired by a Latvian. Arvīds Blūmentāls made his way from Latvia to Australia in 1945. Once there, he hunted reptiles, studied Aboriginals and mined opals. Crocodile Dundee went on to become a smash hit film in 1986 and Blūmentāls’ home in Coober Perdy is a tourist attraction. Back in Latvia, a crocodile monument was constructed in Blūmentāls’ hometown of Dundaga. Many Latvian men wear a Namejs Ring, which helps them identify each other around the world. The four braids of the ring’s design signifies the solidarity of Latvia and its citizens. The legend behind the ring is that it was worn by Namejs, leader of the Semigallian tribe, which was fighting off the German crusaders invasion of Latvia in the 13th century. He gave this ring to his son, hoping he would be recognized upon his return from battle. It is also a sign of friendship and trust. Another popular piece of Latvian attire is the Lielvārdes Josta, a red and white woven belt, featuring 22 ancient symbols. The belt serves many purposes throughout the wearer’s life, including being used to hang a baby’s cradle, all the way to eventually carrying and lowering a casket at the end of life. The belt is said to have special protection powers and is worn during special festivities and family events. 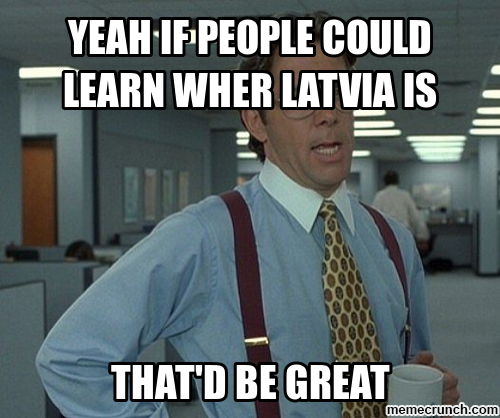 It can also be used to identify which region of Latvia a person may hail from. Supervillain Dr. Doom is the ruler of the fictional country, Latveria, which one would have to assume is partly based on Latvia, at least by name. Thankfully, the real Latvians don’t have to deal with an evil dictator like Dr. Doom anymore and can thrive in their freedom. The Stoli Vodka drinks go two-for-two with this nice entry. I used Grapefruit Soda instead of juice, as I`m prone to do. 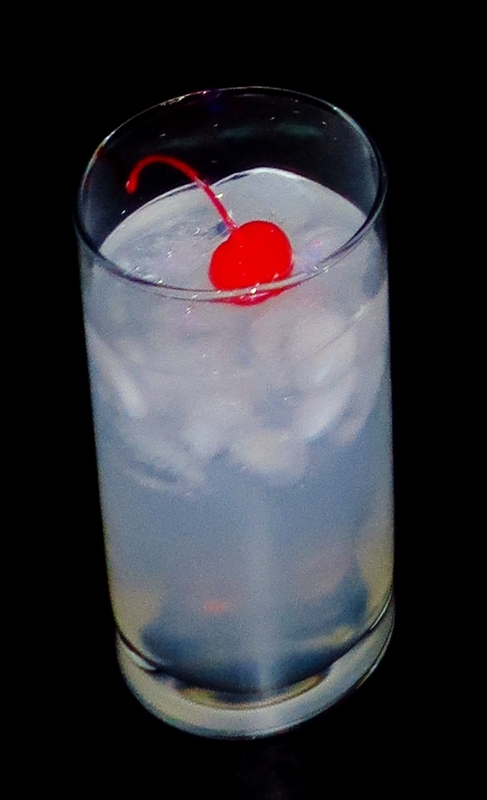 The Maraschino Cherry serves as the sun streaking across the sky and makes for a nice little bonus at the end of the cocktail!